Babalawo (Priest of Ifa), and therapist Enroue Halfkenny, Onigbana Sangofemi (and husband of host Tagan Engel ;-) shares an overview of the traditional religion of the Yoruba people, and what it looks like in daily life. He speaks on this indigenous African tradition as a path towards personal and communal healing and a wholistic framework for healing our broken society. 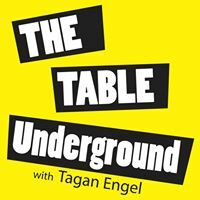 Many of the episodes on The Table Underground are centered around food in all its complexity. When I started this show, it was important to me to look at the full ecosystem of influences that have both created the intense racism and injustice in our food system as well as the forces that are involved in the liberation of life. So when I say that we cover stories on food, radical love and creative social justice, I mean that in addition to stories of people in the food system, it is also so important to hear about things like how racism impacts people’s lives and how they are working to be free, to learn about indigenous people’s lives and traditions, and heart-rooted stories of inspiring social justice work. A thread that runs through all of this is the focus on decolonizing our minds and living in right relationship with the earth, with ourselves and with others. One component of this liberation work is connecting with the traditions of our ancestors, and understanding the culture, religion and practices they had. When it comes to earth based indigenous practices of people across the globe, for the most part these have been demonized and intentionally torn away from people. These traditions - be they rooted in European lands, the African Continent, the Americas or other places are often seen in a negative light and called witchcraft or ignorant or devil worship. The truth is that these traditions are rooted in practices that are wholistic in the way that they connect the spirit, body and mind, as well as the relationship between the individual, the community, and the natural world. In many ways these frameworks are models for healing what is broken in our society. Today’s guest is Enroue Halfkenny, Onigbana Shangofemi, who is a Babalawo, a Priest in the Yoruba Tradition of Ifa. Enroue is also my love and husband, and we have both been involved in the Yoruba Orisa tradition for over 25 years. 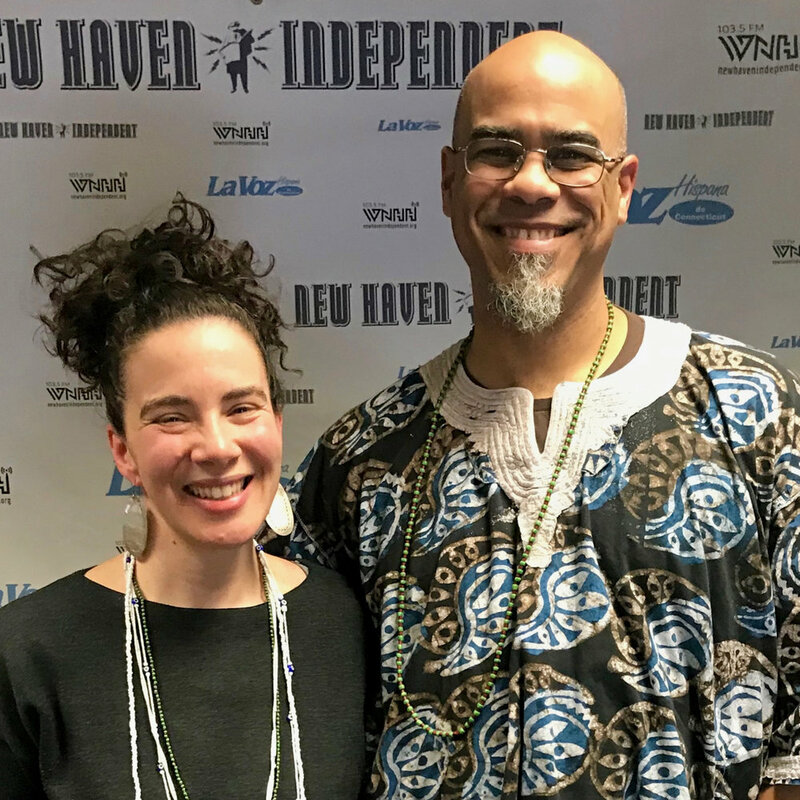 Enroue’s training started with a 7 year apprenticeship with two priestesses in the Orisa Tradition, Sangoyemi and Osunkemi in Boston, as well as with Baba Ogun Wande Abimbola, a leading Babalawo from Nigeria, who has taught extensively around the world and in the United States. Enroue was initiated as a priest in Oyo, Nigeria in 2000, and in 2008 became a Licensed Clinical Social Worker to expand his counseling and healing skills further. 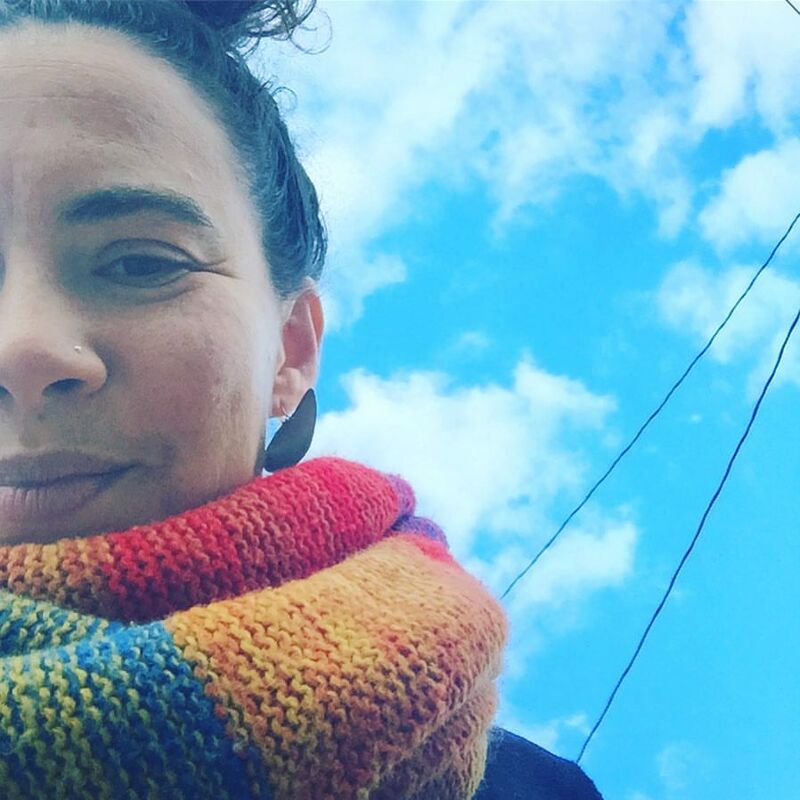 In recent years, Enroue has worked with many people through his practice Healing and Liberation Counseling. He has also led Yoruba tradition based healing work in nature, and helped people to connect with their ancestors as paths for personal and communal healing. There is a growing interest of people wanting to connect with traditional African religion and practices, and the Orisa Practice of the Yoruba people is one of many of these traditions in the diaspora. You may also have heard of Santeria and Lucumi from Cuba, Candomblé from Brazil, Vodun from Haiti and New Orleans, and others that draw on Yoruba traditions as well as the traditions of other peoples and cultures. For this episode, Enroue shares an overview of the Yoruba Orisa tradition and practices, and talks about some of the ways he has witnessed these traditions help with people’s personal and communal healing. Find Enroue through his counseling and consulting business Healing and Liberation Counseling.